Ultimaker, a producer of desktop 3D printers, has unveiled the Ultimaker S5, its first 3D printer since 2016. It is aimed at professionals using 3D printing for prototypes, tools and end-use parts. Building on the Ultimaker 3, the S5 features a larger build volume and a range of ease-of-use enhancements. 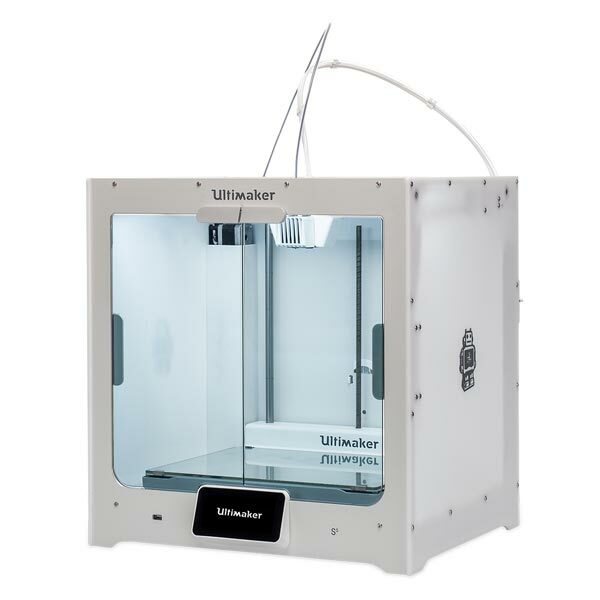 The S5 features Ultimaker’s largest ever build volume of 330x240x300mm, compared to the Ultimaker 3’s 215x215x200mm. To ensure consistent results with the wide range of materials supported, the S5 features two quickly interchangeable build plates: a hardened glass plate for general use, and an “ultra-flat” anodized aluminum plate for advanced engineering materials, such as ABS, CPE+ and PC. A new filament flow sensor detects when material stops moving or is nearing its end. The S5 will automatically pause a print when it senses the spool is running out, preventing print errors. 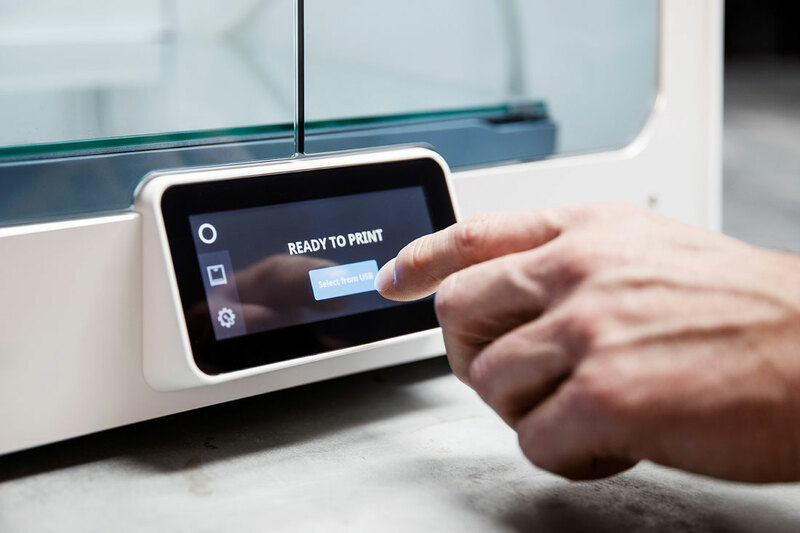 The addition of a touchscreen should help guide new users of 3D printing through setup, maintenance and printing. Like the Ultimaker 3, the S5 features dual extrusion and water-soluble support capabilities, for printing of complex geometries with minimal post-processing. Ultimaker will also update its iOS and Android apps enabling users to keep updated on a print’s progress whilst away from the printer. Users will receive notifications when a print is complete or needs attention. Ultimaker’s Tough PLA filament is being released alongside the S5. It is optimized for the larger prints enabled by the S5 and will have an impact strength similar to Ultimaker’s ABS filament, whilst being less brittle and stiffer than regular PLA. 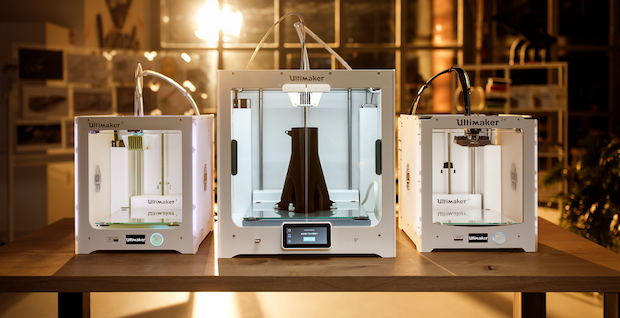 The S5, along with the update for the Ultimaker app, will be available May 15, priced at $5,995. The printer is being displayed at RAPID + TCT, in Fort Worth, Texas, this week April 23-26. For the latest 3D printer releases, subscribe to the 3D Printing Industry newsletter, follow us on Twitter, and like us on Facebook. Featured image shows The Ultimaker S5 (middle), between the Ultimaker 3 (left) and Ultimaker 2+ (right). Photo via Ultimaker.